Can you believe it is August 3rd? I can't, the summer has flown by for me. Now if only the super hot sticky weather would fly by I would be in heaven. This week for the yarn along I am reading Anne of the Island. Anne Shirley is at college and enjoying her friends and is still not quite sure she likes/loves Gilbert. We all know they are destined to be together why is she the last to know? I am loving the series and the happy attitude of Anne. For knitting, I am working on my featherweight cardigan. I am now on the body and am loving every single stitch of stockinette! I can watch tv or talk or do both! My daughter has picked up her knitting (GASP) and I am able to help her without stopping my knitting. I would love to be knitting some complex lace shawl but it is all working out with the demands of my family. My other project is the moss road scarf which is a gift for my father in law. I pick this up when I am not working on the sweater. So what is your daughter working on? I like the color of your cardigan. It looks like it will be light weight wear, but will provide nice warmth, too. I just finished a moss stitch scarf myself! I had the most trouble keeping the pattern even. I must have a block about k2, p2. The featherweight is lookin' good! Your cardigan is gorgeous! 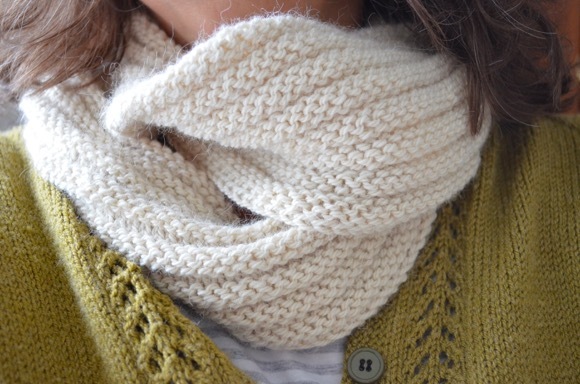 I love that pattern and will add it to my list of things to knit. It's so wonderful that your daughter is knitting too. I love the color you've chosen for your cardigan. Those stockinette portions can be such a blessing when other things are going on around you. I try to always have something like that to work on if I get a chance to knit while my boys are awake. I'm sure the cardigan will be so beautiful when it's finished - I love MT yarn! Wow, that looks lovely. I have a feeling it would take me years to complete, but it looks so gorgeous. I love knitting and being able to chat/watch at the same time! Great pattern! It looks like it wouldn't take a whole lot of yarn... Nice. I swore when you started up on this series I was going to read it again. I still haven't started. You're going to finish the whole thing before I finally pick up the first book... sheesh! The cardigan is lovley. And sometimes some mindless knitting that doesn't taking counting and charts is just wonderfully relaxing. I wish my daughters would pick up their knitting again. I'm hoping when winter arrives, even if it is just to keep them warm! Seriously, I am so over summer already! What a beautiful pattern. I like the color your chose for your sweater. It looks like it'll be very pretty! 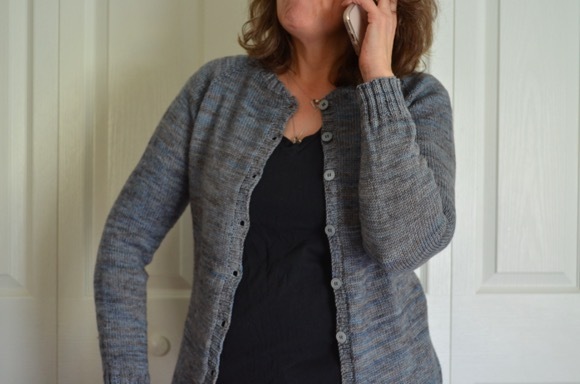 I knit Hannah Fettig's Whisper Cardigan last year and really enjoyed the process. All the Anne love- me, too! She's wonderful. The sweater looks great! You and your size 4 needles! :) The featherweight looks beautiful!